Last nights Facebook QnA was pretty awesome. Lots of GREAT questions from golfers looking to improve their performance on the course. Follow us on Facebook and hit me up on these QnA sessions. 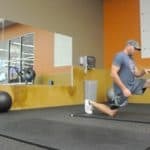 I like to do these weekly, usually in the evening where you can ask me any golf fitness questions you have. Don’t be shy, I love helping golfers improve their golf body and golf game. Today, after reviewing the questions and the answers.. it became pretty clear to me that I needed to clarify a few things. Q: Would you recommend more strength training or cardio to best prepare for the golf season? Don’t let the name fool you. If you want to get in to great cardio and stronger with a focus on golf this is a good place to start. Read the success stories on the link above. Pretty solid results. Q: What kind of gym work can I do to strengthen my core while making sure I activate the right type muscle fibers needed for an explosive swing? Your gym work needs to encompass all of these. Further, you need to build your golf body one step at a time. If any one of those pillars are non-existent then you won’t be able to properly transfer power to the ball. Start with the base (#1) and build a workout program that encompasses all of those. Q: What stretches would you do daily before practicing to loosen up your upper back between your shoulder blades? A: Great question! 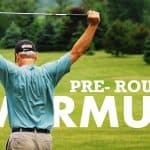 I’ve actually created a Pre-Round Warm Up that comes with all of the workout programs I design. You can take this to the course. To answer your question though.. one stretch for a tight upper-middle back is the “Police Elbow Stretch”. Interlock your hands and put your hands behind your head. Now just try to touch your elbows together. Although… before a golf round I like you to get more athletic with your stretching and not so static minded like the “Police Elbow Stretch”. 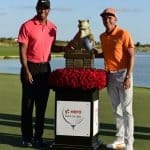 We are going to be swinging a club in an athletic motion, our warm up before the round should be athletic too and warm up the mind and body. …to be honest, there is no best exercise or stretch. Everything works together. Variety is key to forcing the body to adapt. Simple.